Tata Steel believes demand on its products will substantially increase with vehicle electrification projects over the next 30 years. Increasing demand for ultra-low emission vehicles (ULEV) will drive growth in steel supply to the European automotive industry by 4.2 million tonnes, according to a new study by Tata Steel. The study predicts that production of steel for vehicle structures, as well as electrical and plated steels, will see a sharp increase if all new vehicles are zero emissions by 2050. The study shows that demand for advanced steels for the vehicle structure will increase by approximately 2.6 million tonnes by 2050, as manufacturers look to save weight in the most cost-effective way possible. This is contrary to previous speculation that non-ferrous materials – such as aluminium and carbon fibre – would increase, leaving steel as a less-attractive alternative. However, these materials are expected to have a relatively low impact for two reasons; first they will remain relatively expensive and secondly, they are less sustainable when looking at the full lifecycle, which will be a major future driver in the automotive industry, according to Tata Steel. 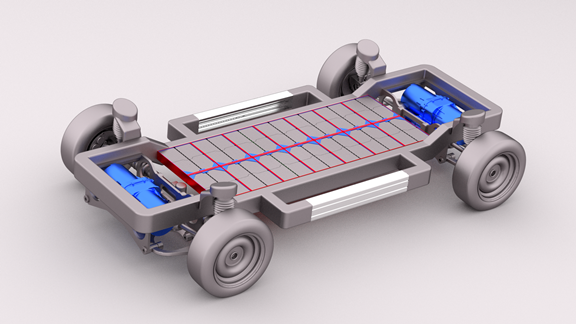 Another key growth area for steel will be in the powertrains used in ULEVs, which include electric motors and battery cells. Expected to account for a 1.6 million tonne increase in the demand for steel, these components will use greater levels of electrical and plated steels respectively. High performance electrical steels can improve an electric motor’s efficiency, enhancing range and power, while lithium-ion batteries commonly used in EVs require advanced plated steel. Growth will also be supported by the development of localised battery cell production, with at least six significant factories required in Europe by 2030 to meet the increased demand for electric vehicles. A growing number of EVs on the road will also cause increased demand on electric infrastructure. Steel will play a key role in the development of EV infrastructure, such as charging units and refuelling hubs. The study by Tata Steel has considered several roadmaps for the uptake of EVs to 2050, depending on the level of global legislation and the speed at which it is implemented. It has also considered external factors likely to impact the adoption of zero emissions vehicles, such as car-sharing and population growth. Chris Wooffindin, marketing manager – automotive at Tata Steel, said: “Our report shows steel will be more relevant to the automotive industry than it is today. Many people expected the next generation of vehicles to feature unconventional materials, which is not feasible based on the costs manufacturers, and subsequently customers, are facing with electrification. Tata Steels has detailed its findings in the “Charging towards a sustainable future?” white paper.